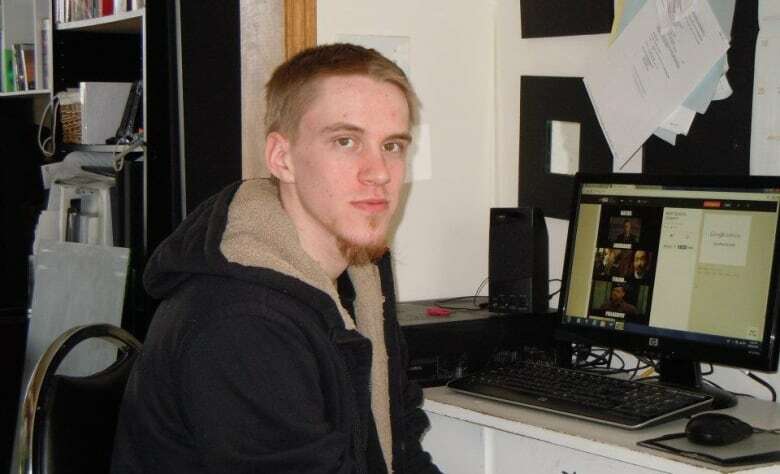 Aaron Driver, the Winnipeg man who openly supports the militant Islamic group ISIS on social media, has been released from custody but must wear an electronic monitoring device, stay off the internet, undergo "religious counselling" and face other conditions. Aaron Driver, the Winnipeg man who openly supports the militant Islamic group ISIS on social media, has been released from custody but must wear an electronic monitoring device and faces several other restrictions. The 23-year-old is currently not facing any criminal charges, but federal authorities are seeking a peace bond to limit his activities on the suspicion that he may help a terrorist group or activity. Chief federal prosecutor Ian Mahon confirmed that Driver made a bail application and was released on Friday, while the court decides whether to issue the peace bond. Both the Crown and the presiding judge consented to the release after Driver agreed to 25 conditions. "If he is willing to enter into certain conditions, then there's no reason to keep him in custody," Mahon told CBC News on Monday. Wear an electronic monitoring device around the clock. Take part in "religious counselling" and forward the counsellor's name to RCMP. Follow an overnight curfew (from 9 p.m. to 6 a.m. daily) and stay at his home in Winnipeg's Charleswood neighbourhood. The home was raided earlier this month. ​Surrender any passports he has and not apply for any passport from Canada or any other country. Not possess any desktop, laptop or tablet computer. Any cellphone he has must be approved by RCMP, and the phone number must be submitted to police. Provide passwords and access to his cellphone at the RCMP's request, with "such requests not to exceed two times per month." Stay away from social media websites, including Facebook, Twitter, Kik, Surespot and Telegram encrypted chat. Have "no contact or communication directly or indirectly with any member of ISIS, ISIL, Islamic State of Iraq and Syria and Al Qaida in Iraq." He must also not possess anything bearing the logos or names of any of those groups. Driver was held without charge, on suspicion of terrorist activity, after his Charleswood-area home was raided by RCMP earlier this month. He spent a week in custody before being released on bail. His next court date is July 9. He had been noticed and observed by CSIS — Canada's spy agency — for his pro-ISIS activity on Twitter, using the name Harun Abdurahman. His father, a career member of Canada's Armed Forces, told CBC News in March that CSIS had told him his son was considered a radical extremist. The bail conditions drew criticism from the Manitoba Association of Rights and Liberties, which argues that Driver has not been accused of any crime and should not be forced to undergo religious counselling, wear an electronic bracelet and face other restrictions. "This is a person — a Canadian citizen — who has not been charged with a crime … and yet he's going to be subject to 24/7 GPS monitoring," association president Corey Shefman told The Canadian Press. Published reports have said Driver posted messages on social media that praised terrorist activities, including the attack last October on Parliament Hill by Michael Zehaf-Bibeau. Evidence presented at Driver's bail hearing on Friday cannot be reported due to a court-ordered publication ban. Mahon said there have been nine other peace bonds sought against Canadians suspected of harbouring terrorist plans since 2001. The federal government has defended the move to limit Driver's activities. Shortly after he was arrested earlier this month, a spokesman for Public Safety Minister Steven Blaney said the government must combat terrorism.